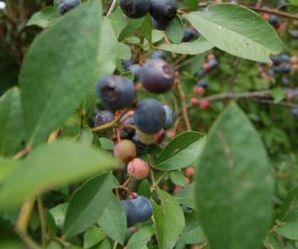 Wondering what to do with all those blueberries you picked? This page is dedicated to tried and true recipes. Please submit your favorite to [email protected], and we'll publish it here, giving you credit, of course. 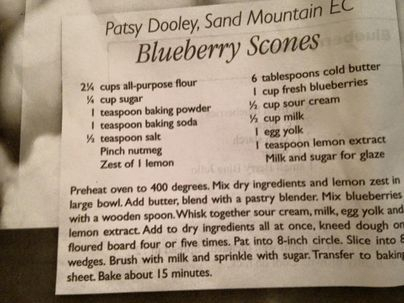 This recipe was given to me years ago by Pat Simmons of Springville, AL. It remains my favorite way to use blueberries. Cream butter; add 1/2 cup sugar, beating well at medium speed with electric mixer. 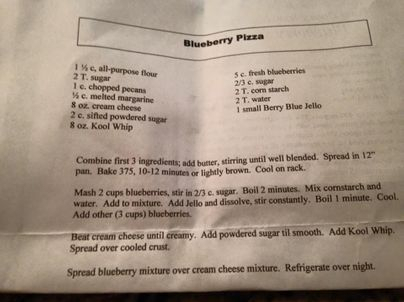 Add flour and milk, mix well; spread batter over blueberries. Combine 3/4 cup sugar, cornstarch and salt. Stir well, sprinkle over batter. Pour boiling water over cobbler. DO NOT STIR!! This recipe is from a church cookbook of my grandmother's church. The recipe was submitted by my great-aunt. Sift flour once, measure and add baking powder and salt. Sift again. Cream butter and sugar gradually and cream together well. Add egg; beat well. Add flour alternately with milk a small amount at a time. This makes a stiff batter. Fold in blueberries. Bake at 350° for 45 minutes. Preheat the oven to 350° and butter a 4x8 inch loaf pan. In a mixing bowl, mash the ripe bananas with a fork until completely smooth. Stir the melted butter into the mashed bananas. Mix in the baking soda and salt. Stir in the sugar, beaten egg, and vanilla extract. Mix in the flour. Gently fold in blueberries. Pour the batter into your prepared loaf pan. Bake for 50 minutes to 1 hour, or until a tester inserted into the center comes out clean. 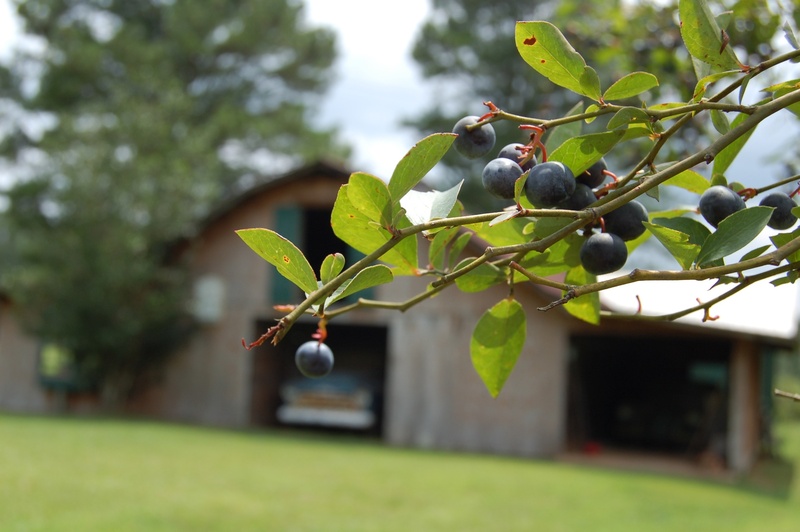 2 cups of fruit (apples, peaches, berries, etc…) Blueberries are best. Mix fruit, cinnamon, spices, 2/3 cup sugar, 1 tbsp. flour, lemon juice, and zest in a bowl. Spread evenly in pan. Drizzle 4 tbsp. of butter over it evenly. In a bowl (sift before measuring) 1 cup flour. Resift with ½ cup sugar, baking powder, and salt. In separate bowl beat together the eggs, milk, and remaining 1 tbsp. melted butter. Add it to the dry ingredients and spread evenly over fruit in the pan. Put it in the oven. After 5 mins drop the temp to 350 and bake for about 40 min. until cake is brown on top and a toothpick comes out clean. Flip over onto a plate or platter and allow it to cool to room temperature. Serve with ice cream, whipped cream, or powdered sugar, or all of the above. In a large mixing bowl, combine flour, baking powder, salt and sugar. Mix well. Cut in butter and shortening. In a separate bowl, combine cream with beaten egg then add to dry ingredients. Fold in fruit carefully. Turn dough out onto a floured surface. Form into two equal sized circles and cut each circle into 8ths. Place on a baking sheet about an inch apart with parchment paper and bake for 15 minutes or until brown. Preheat oven to 350°. Spray loaf pan. Whisk flour, salt and baking powder together; add blueberries and lemon zest—toss. Cream butter and sugar until fluffy—add eggs one at a time, then add yogurt and then dry ingredients. Try not to crush blueberries. Bake 1 hour, 10 minutes. Freeze butter. Preheat oven to 450°. Mix salt, sugar, flour and baking powder in a bowl and sift. Add milk. As dough forms, use cheese grater to add butter. Fold dough and knead. Fold in blueberries. Gently pull chunks of dough and pat to form biscuits. Bake 7 to 12 minutes. Mix and drizzle over biscuits. Pour your blueberries out on a large cutting board. Give them a rough chop. You'll miss plenty of the berries giving you a nice mixture of whole berries vs chopped. Put them in a large bowl. Add in your chopped cilantro, jalapeno, red onion, red bell pepper, salt, and lemon juice. Stir until combined. Elizabeth wrote: I altered the recipe a bit because I'm not a fan of jalapenos (left them out), I used white onion instead of red onion and lime juice instead of lemon juice (already had the white onion and lime juice on hand). I have often seen that you are to freeze the berries unwashed to avoid a thick skin when used. I have always washed my berries first and dried them on a paper towel completely before freezing them. I have not noticed any problems when baking with them. Freeze in pre-measured amounts to make it easier to grab for a recipe. Most of the recipes I have call for either 2 or 4 cups, so I measure that out before freezing and label the bag with the amount.